ACTIVE INGREDIENTS: Belladonna 30X, Conium maculatum 30X, Dulcamara 30X, Hepar sulphuris calcareum 30X, Kali bichromicum 30X, Mercurius solubilis 30X, Pulsatilla 30X, Silicea 30X, Chamomilla 30C. 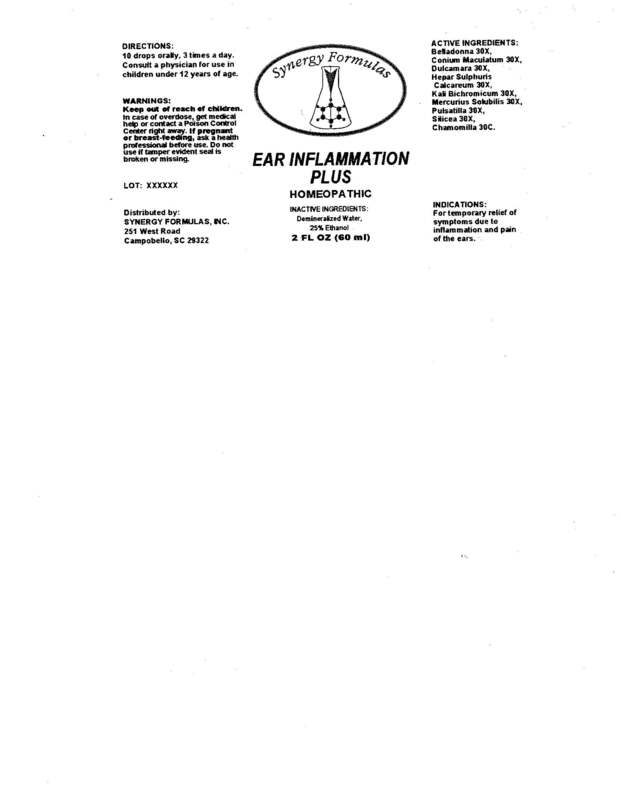 INDICATIONS: For temporary relief of symptoms due to inflammation and pain of the ears. WARNINGS: Keep out of reach of children. In case of overdose, get medical help or contact a Poison Control Center right away.